Composite seal for sealing rod of swivel joints and rotary couplings. 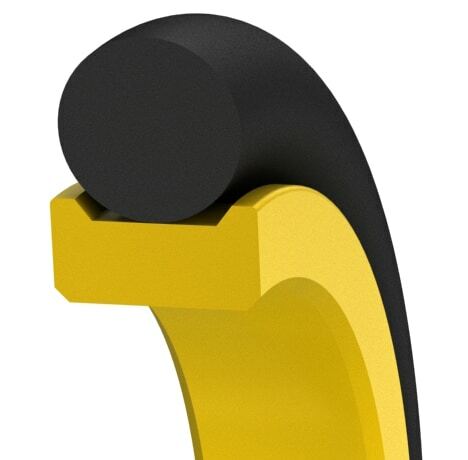 This seal is designed to retrofit O-ring glands, to minimize system friction, and to provide a positive seal on the rod. It is used where radial grooves must be kept as small as possible. Up to 3,500*psi. Small quantities are available in 1 to 3 days. *Standard cross-sections (CS) listed and non-standard sizes can be provided for any shaft size up to 63 inches. Surface finish: Shaft (A) plunge ground, zero lead, Ra 8-16µin using elastomer seals, Ra 6-12µin using PTFE seals. Housing (D,L) Ra 32-63µin, shaft material hardness 55-65RC. See Technical Info for more specific information. 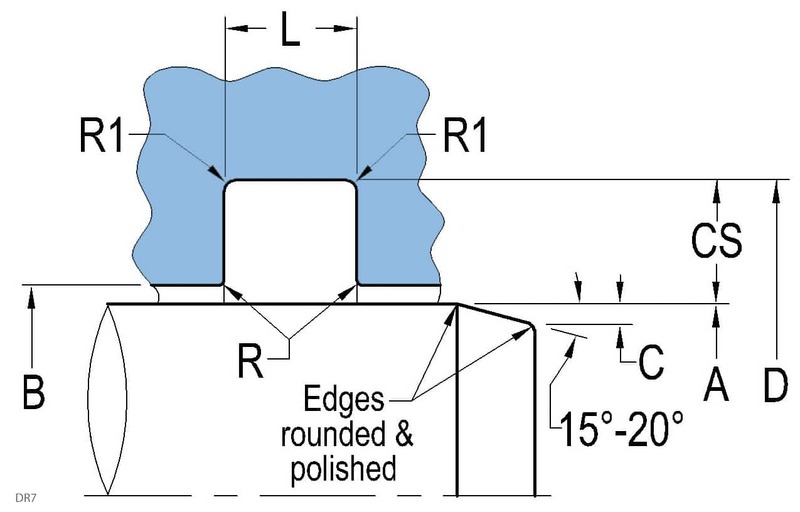 *Standard cross-sections (CS) listed and non-standard sizes can be provided for any shaft size up to 1600mm. Surface finish: Shaft (A) plunge ground, zero lead, Ra 0.2-0.4µm using elastomer seals, Ra 0.15-0.30µm for PTFE seals. Housing (D,L) Ra 0.8-1.6µm, shaft material hardness 55-65RC. See Technical Info for more specific information.